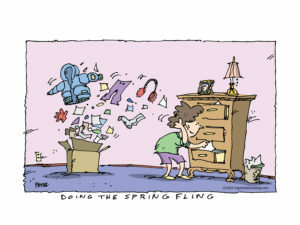 Spring cleaning is upon us, which means cleaning out closets, garages, basements and the like. 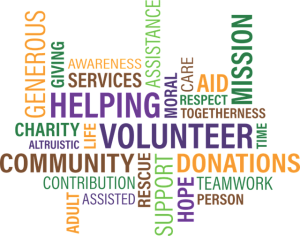 I am often asked for recommendations for where to donate items over and beyond the usual charitable organizations. With that in mind, here is a list of some very worthy places to consider. This list is by no means inclusive and is one that Put It There has been adding to and deleting from for years. 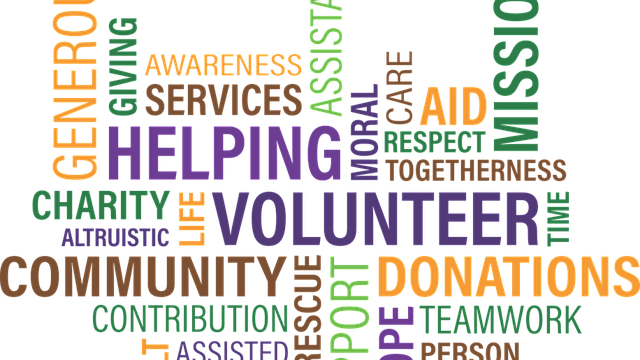 There are many worthwhile organizations out there that would love to be the recipient of items you no longer need or want. The key to successful purging is to find a cause that pulls on your heart strings and makes you feel good about parting with these items. Furniture Bank of Metro Atlanta, http://furniturebankatlanta.org/. This organization’s mission is to recycle gently-used furniture by collecting it from the community and giving it to individuals and families moving out of homelessness and fleeing domestic violence, as well as countless others struggling to make ends meet. Movers ‘N Shakers, www.atlmoversnshakers.org: This ministry offers gently used furniture to families coming out of homelessness and partners with The Drake House, an emergency residential program for women affected by domestic violence. Foster Care Support Foundation, www.fostercares.org: Located in Roswell, this is a great place to donate children’s clothing and equipment. This is the only organization in the state providing free clothing and equipment for Georgia’s foster children. Some families travel as far away as Valdosta and Savannah for clothes from FCS. Enchanted Closet, www.enchantedcloset.org and Becca’s Closet, www.beccascloset.org: Great organizations for donating prom dresses. Midtown Assistance Center, http://www.midtownassistancectr.org/: Midtown Assistance Center (MAC) is a non-profit whose mission is to provide emergency assistance to low-income working Atlantans to help prevent homelessness and hunger during periods of crisis. Hope, http://hope4dv.org: An organization that helps victims of domestic violence, which accepts clothes and household goods and they pick up from your doorstep. Dress For Success, www.dressforsuccess.org: Dress for Success is a nonprofit organization that provides business attire, career development and confidence boosts to low-income women transitioning into the workforce in metro Atlanta. Women are referred to Dress for Success Atlanta by agencies that provide skills development and job preparation. The organization’s services include providing interview clothing; fashion consultation; a women’s group which provides support, career building and networking opportunities; and a specific program focusing on meeting the needs of low-income plus-size women entering the work force. Loving Arms Cancer Outreach: We have partnered with A2Z Thrift Store, (404) 675-6586. They pick up your clothing and household items, sell them at the thrift store, and then send us a monthly check to support our mission. We are grateful for this partnership. NCJW, National Council of Jewish Women Bargainata Thrift Store, https://ncjwatlanta.org/bargainata: Proceeds from the Bargainata Thrift Boutique benefit NCJW Atlanta, the Atlanta Jewish Coalition for Literacy (AJCL), and other programs and community service projects. We welcome your gently used donations of ladies clothing, shoes, handbags, accessories and jewelry. For our annual Mother’s Day Jewelry Store project, we collected over 6000 pieces of jewelry, which enabled us to provide free Mother’s Day gifts for the mothers or caregivers of nearly 5000 children (K-5) in four Metro Atlanta Title 1 schools. The Drake House, https://thedrakehouse.org/the-drake-closet/: Clothing donations are primarily used to stock our boutique stores where sale proceeds go to support The Drake House, the only agency in the area offering an emergency residential program with private housing, serving approximately 50 families with 100 children per year. The mothers living in The Drake House facilities also use clothing donations for interviews and employment opportunities. International Book Project, www.intlbookproject.org. This organization acquires books in excellent condition for literary programs around the world. 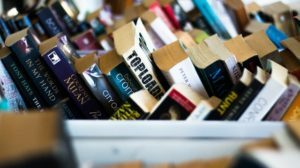 Local Libraries, contact your local library to donate books. Books for Heroes, https://www.booksforheroes.org/: This organization donates books to the troops. Home Resource Center, www.fcsministries.org. This organization will pick up washer/dryers, all large appliances, and small household items. They will not pick up mattresses, clothing, and gas appliances. ReStore (Habitat for Humanity), http://www.atlantahabitat.org/restore: Atlanta Habitat for Humanity ReStore sells new and gently used furniture, home accessories, building materials, and appliances at a fraction of the retail price. Each time someone shops, donates or volunteers at the ReStore, they are helping Atlanta Habitat for Humanity transform communities through neighborhood revitalization, education, innovative development and partnerships. Refugee Women’s Network, http://refugeewomensnetworkinc.org/: This organization helps new refugees from all over the world who are resettling in Atlanta. They accept furniture and any household items, bedding, kitchen, bath, etc.